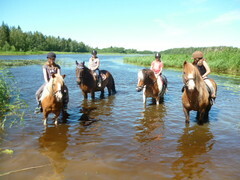 In Viikilä's horse ranch, you can enjoy horseback riding in small groups in the beautiful countryside. We have stables, horse training, horse breeding, riding camps, and you can also book horse carriage or sleigh rides for various occasions. We also provide property maintenance, household appliance service and subcontracting services. 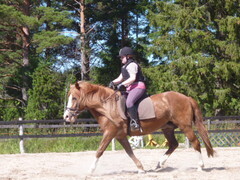 Riding lessons are held on Wednesdays and weekends, or as agreed. 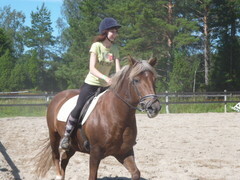 Riding lessons range from basic lessons to horse jumping and trail riding lessons. 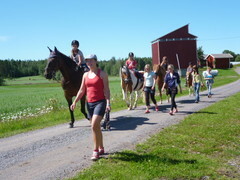 The lessons are carried out in small groups, 3-6 riders, with calm and well-behaved horses. 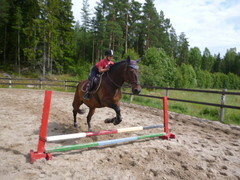 In Viikilä's horse ranch, we offer full board for your horse, in a stall or field shelter. The full board includes full-time ranching, hay, oats, minerals, bedding, and blanketing when necessary. 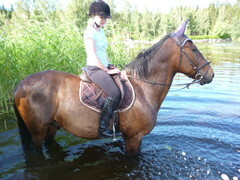 There is a large, lit riding arena, good trails and a sea for the horses to swim. The horses have large, sheltered winter paddocks and good summer pastures. 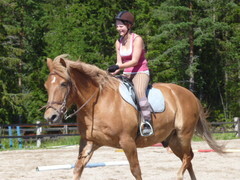 Come and enjoy a day trip at Viikilä's horse ranch! The day includes horseback riding, horse carriage or sleigh rides, horse care and a meal. The content of the day can be customised according to your needs. Ask Henna for additional information. Viikilä's horse ranch is part of Green Care Merikarvia, a group of companies whose goal is to offer customers rejuvenating joy with the power of nature. Green Care services are designed for small groups. Green Care promotes animal assisted methods in combination with wellbeing and health services. 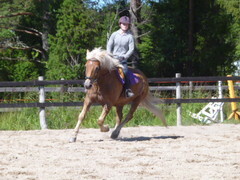 The ranch is run by Henna Viikilä.